Belleair Coins, Gold & Diamonds is a strong buyers of all commemorative half dollar coins. These are our favorite coins. 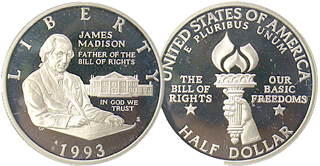 The modern Commemorative Half Dollar coins series starts with the 1982 George Washington Halves and continues to the present. Many of these coins are remarkably inexpensive and a few scarce issues also exist. The modern series of Commemorative Half Dollar coins is extremely popular and includes some very beautiful coins. Too many to list – call (888.gem.mine) for quote.